Pumpkin Spice. Those aren’t just two words that have become ubiquitously associated with this season; they have become a public obsession. Hey, I get it. I love the warming spice mixtures and the heartier fruits and vegetables of fall. What gets my knickers in a twist is that most of those “pumpkin spice” flavored foods contain no actual pumpkin. Even when they do, they are still full of “natural” and artificial flavors. I've decided to have a pumpkin spice mission this fall. I say fine, let’s indulge in all our pumpkin spice dreams, but let’s keep it real, you know, by using actual pumpkin and real spices. It’s easy. We can do this … and it’s going to taste way better. Let's start at the beginning - pumpkin puree. 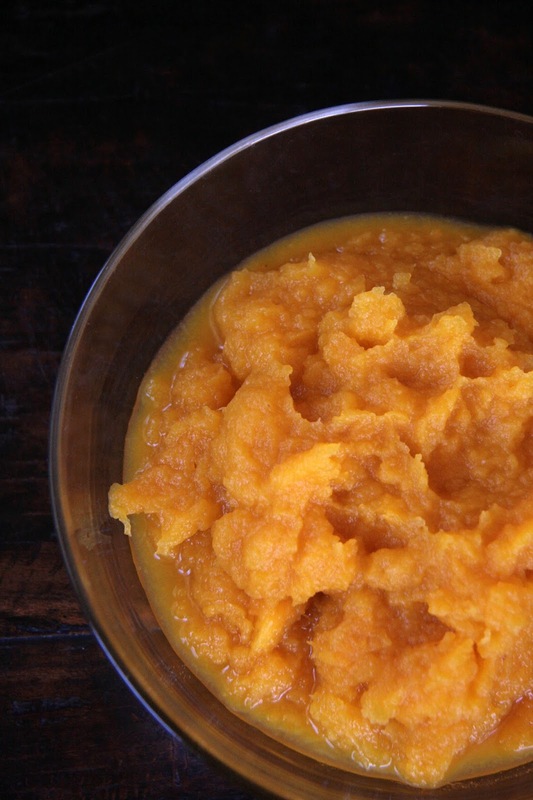 Yes, you can buy canned pumpkin puree. Do what you have to do - no judgment. I just prefer to buy local and do it myself. It's not that time-consuming, and at least I know for sure that the puree is actual pumpkin. Plus, I can make a delicious snack with the seeds. So, it's like a two for one deal. Who doesn't love that? 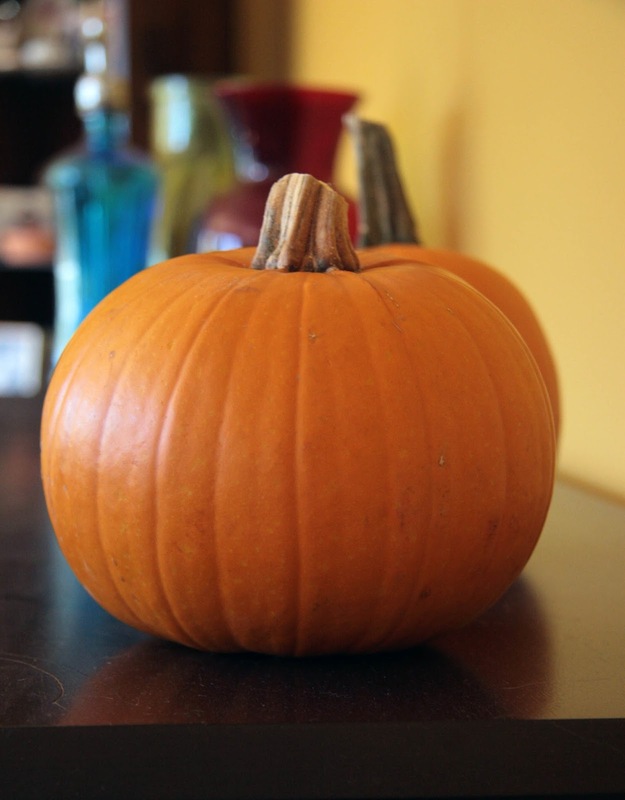 I like to use smaller varieties of pumpkins, like the classic sugar pumpkin, when it comes to baking. 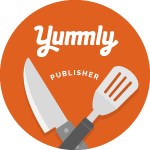 Their consistency and flavor is just better suited to the task. But, like I always say, use whatever kind you have on hand. A big ol’ jack-o-lantern sized pumpkin will work too. Cut off the stems from each sugar pumpkin. Then cut each pumpkin in half. Place each pumpkin half cut-side down on the baking sheet. Bake in the oven until fork tender, about 50-60 minutes. Let me cool enough so you can handle them. Scoop out the cooked flesh. It should easily pull away from the skin. Place the flesh in a food processor and process until smooth. Use immediately or refrigerate(or freeze) in 1 cup portions for later. See that was easy. Now that we have our real, homemade puree, we can get to the fun stuff. Stay tuned for more in my Keepin' It Real Pumpkin series. My husband only uses fresh puree when he's making pumpkin anything. I'm the one always looking for the fresh seeds to bake with a little bit of sea salt--you can't find those in a can. Yes! Pumpkin seeds are one of my favorite snacks. The next recipe in this series is actually going to be for spiced pumpkin seeds!